Is the Bulldog right for you? Find your perfect match now! If Winston Churchill saw Britain through its finest hour, these Churchill look-alikes might be Britain's finest breed. The Brits certainly think so: the Bulldog is England's national dog! Bulldogs can require a lot of special attention — many have some fairly severe health issues. But as a wise prime minister once said, “the price of greatness is responsibility.” If you can commit to investing in this dog's health and well-being, you won't find a more affectionate, determined, devoted canine companion. And frankly, it's hard not to fall in love with that smooshy, wrinkly, jowly face and the silly snorts she makes. Originally from England, this medium-sized and medium-energy breed can grow to between 40-50 pounds and lives an average of 8-12 years. The breed is recognized by the American Kennel Club and classified as a member of the Non-Sporting group. WHAT IS A BULLDOG'S PERSONALITY LIKE? Nonsense. This dog is pure nonsense. They make strange sounds and silly faces, and have wonderful, clownish senses of humor. The breed's independence, confidence, and tenacity means this dog owns any room she walks into or any street she strolls down. She loves to be part of a family, and is often crazy about kids. Human strangers are just friends your Bulldog hasn't met yet, though they can be suspicious of other dogs. WHAT IS BULLDOG BEHAVIOR LIKE? Bulldogs are what canine power and determination look like. In fact, they were bred to be strong enough to bring bulls down (thus the name). Your Bulldog will need moderate exercise every day to keep her happy and healthy. Don't try to get them in the pool, though — this breed is definitely not built to swim. Their short coats don't provide much protection from the cold and they're very prone to overheating, so plan to play inside during the coldest and warmest months. Bulldogs are not protective or particularly vigilant, nor are they very prone to barking. They make reliable and calm housedogs. HOW EASY IS IT TO TRAIN A BULLDOG? When you bring up training, you might find that your bulldog is “always ready to learn, although [she] does not always like being taught.” Which is to say that Bulldogs can be a titch resistant to training. They're independent minded and can be slow or resistant to pick up new behaviors or tricks. But given the right motivation, they're willing to try and please you. Bulldogs learn best through gentle, consistent, reward-based methods. Learning tricks and obedience training will also keep their busy brains active. HOW MUCH DO BULLDOGS SHED AND WHAT ARE THEIR GROOMING NEEDS? Their short single coats are smooth, glossy, and fine. Bulldogs need daily grooming because their folds and wrinkles need frequent cleaning — they tend to stay wet, which can lead to skin infections. 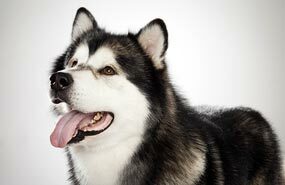 But otherwise, this breed doesn't require much muss or fuss. Brush them about once a week. They are average, seasonal shedders. 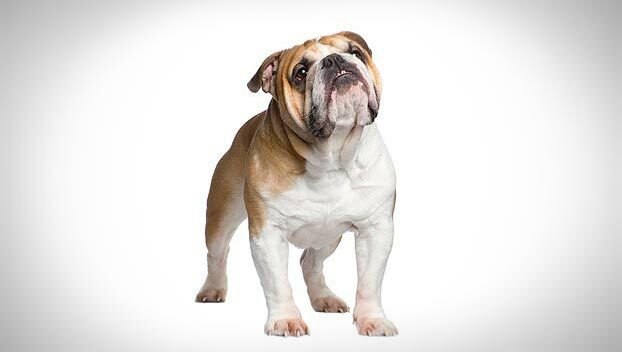 WHAT HEALTH PROBLEMS DO BULLDOGS HAVE? There are many concerns about this breed's health. Their life spans are often short, and they're prone to congenital orthopedic and heart diseases. They also have a tendency toward pudginess, so be conscientious about feedings. Feeding your baby Bulldog a growth food for large-breed puppies will slow their rate of growth but not diminish their adult stature, and may help prevent or reduce the impact of adult-onset hip dysplasia. ARE BULLDOGS GOOD FOR PEOPLE WITH ALLERGIES? The American Kennel Club doesn't list Bulldogs among its breeds recommended for allergy sufferers. You can reduce your furry friend's impact on your allergies with frequent baths and brushings to reduce loose hairs and aggravating proteins in your pet's dander. Use a damp cloth to wipe off your dog after you've been playing outside. Smaller dogs have less surface area, and so produce comparatively less dander than larger breeds — definitely something to keep in mind with a dog as large as a Bulldog! Remember that no breed is 100% hypoallergenic, and any breed can aggravate allergies. WHAT'S A BULLDOG'S BEST DAY? A slow walk around the block to meet and greet all her citizens, then back home for a large breakfast and warm cuddles on a heated bed would do quite nicely according to this princess. Repeat. SHOULD I ADOPT A BULLDOG? Let's be honest: this breed is not for everybody. Bulldogs fit best with folks who aren't too fussy: these dogs tend to be flatulent, smelly, and slobbery. They're good candidates for apartment living, since they don't need exhaustive exercise, don't bark much, and are fairly adaptable. They wilt in hot climates, though, so if you're living in Miami, this probably isn't the dog for you. (They can't swim anyway.) Since they're also sensitive to cold, a Bulldog will do best in a moderate climate. A Bulldog's health can be a concern throughout her life. This breed isn't for you if you're not prepared to invest in her healthcare and well-being. And sure, she can be a little stinky. (Okay, full disclosure: her farts can clear a room like your grandpa on Bean Supper Night.) Plus her stubbornness can make this dog seem downright, well, bullheaded at times. But that can also be part of her charm. If you commit to making a Bulldog a part of your life, she will never, never, never give up on you. Have you decided that a Bulldog is the perfect dog for you? Why not be your new best friend's hero and adopt a rescue! Be sure to check out our article on what to expect when you're adopting a dog or cat.